Hawaii is one of the most beautiful archipelagos in the Pacific Ocean. This unique set of rugged volcanic islands is well-known across the world, and for good reason; it’s a destination like no other. There are towering volcanoes and rumbling craters to explore, a dense interior of tall cliffs and wild forests, and a packed coastline of beaches and surf. Oahu might only be the third-largest island in the Hawaiian chain, but it’s the heart of the state. 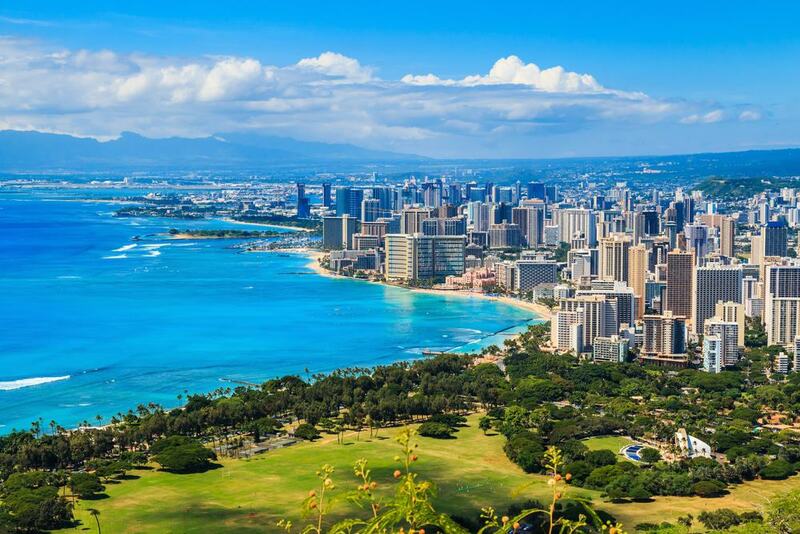 This is where most of the locals live and where most visitors arrive on holiday – being the site of the capital and largest city, Honolulu, and the famous tourist strip at Waikiki. It’s the best island to base yourself from in order to explore not only the many incredible sights on Oahu but the surrounding islands of Kauai and Maui too. 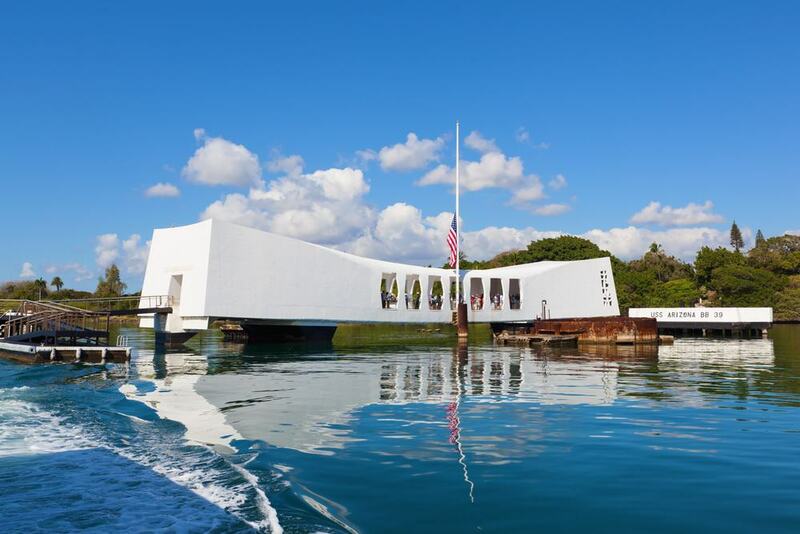 Pearl Harbor is the most iconic and perhaps infamous site in Hawaii. 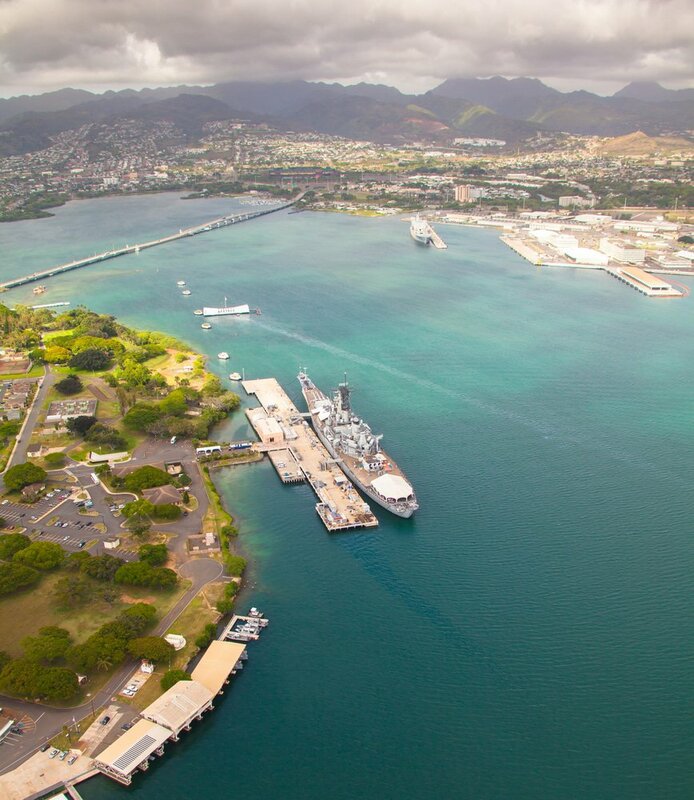 The harbor is found on Oahu, close to the city of Honolulu, and most visitors to the island will find themselves travelling here at some point during their trip to pay respects and find out more about the infamous attack on Pearl Harbor by the Japanese that led to the US taking on Japan during World War II. The event is one of the most studied, talked about, and documented incidents in American history, and seeing the harbor itself may help to understand what really happened here. There is a lot to see and learn at Pearl Harbor, from the battle-ravaged airplane hangars to the bullet holes and shrapnel scars that have been left across the harbor. Perhaps the most interesting of the memorials to be found on Hawaii and in Pearl Harbor is the memorial to the USS Arizona. This navy warship was one of the most unfortunate ships in the harbor when the Japanese attacked – it was sunk by torpedoes. It still rests on the bottom of the ocean today, where it sunk many decades ago. The visitor’s center takes people out onto the water to see the ship itself and to walk through the dedicated memorial that has been erected over the wreck. It’s a moving exhibit and a must-see sight on Oahu. 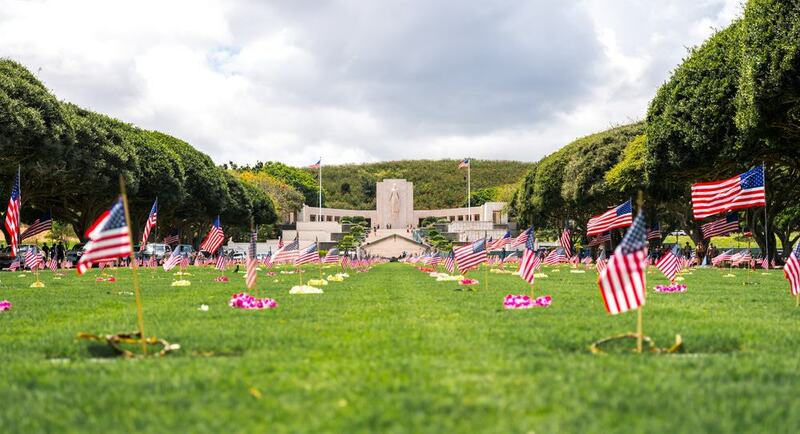 The Punchbowl Cemetery is another important historical site on Oahu that, like Pearl Harbor and the USS Arizona, should be visited to learn more about the island’s integral role in the Pacific and in American history. The official name of this humbling cemetery is the National Memorial Cemetery of the Pacific; it’s a lasting tribute to all those who lost their lives fighting in World War II against the Japanese. The cemetery is found in an unusual but beautiful location within Punchbowl Crater – a large, dormant volcano that overlooks Honolulu. 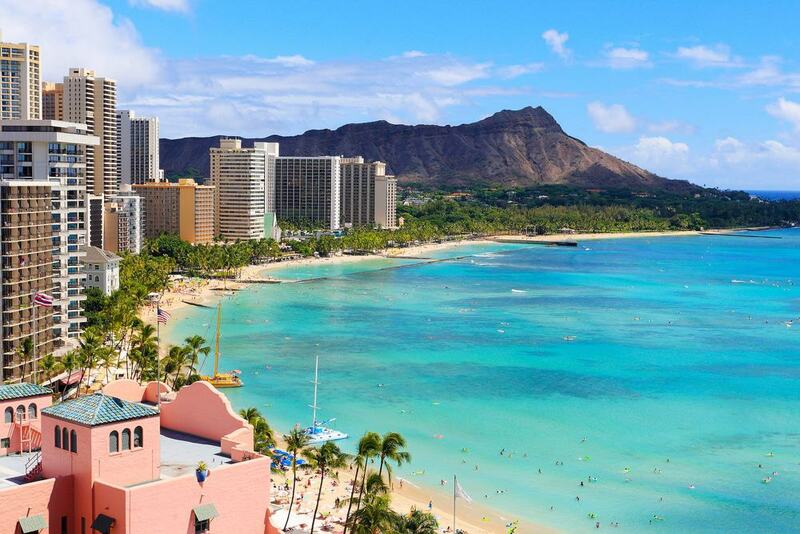 If you are traveling to Hawaii and staying on Oahu, there’s a high chance that you may be staying along Waikiki Beach, because it’s one of the most popular and well-developed areas in the state. If you aren’t staying here already, then it’s most definitely worth at least a day trip while you are on Oahu. Popular for good reason, it’s stunning, it’s energetic, and it’s one of the best places to visit in the perfect location close to Honolulu. At Waikiki Beach you can paddleboard, learn to surf, snorkel or just sit back and enjoy the scenery. The beach is pure white sand, surrounded by the nearby skyscrapers of the city and fringed by turquoise waters. Don’t miss out on Waikiki Beach. You may have visited Hawaii for beaches and scenery rather than for the city life, but Honolulu – the largest and most populated city in the state – is the center of life amongst these Pacific Islands and is full of local culture, restaurants, and history. The best way to explore is on foot, walking along the shorefront before turning into the streets to explore what life is all about here on Oahu. It’s a city, yes, but it’s a laid-back, Hawaiian-style city – a place that just a few hundred years ago was a small village and somehow has still retained that vibe even in the midst of the expansion and all the visitors that pass through this gateway to Oahu. One of the best day trips that can be undertaken from Oahu is a hike to the summit of the Diamond Head volcano. 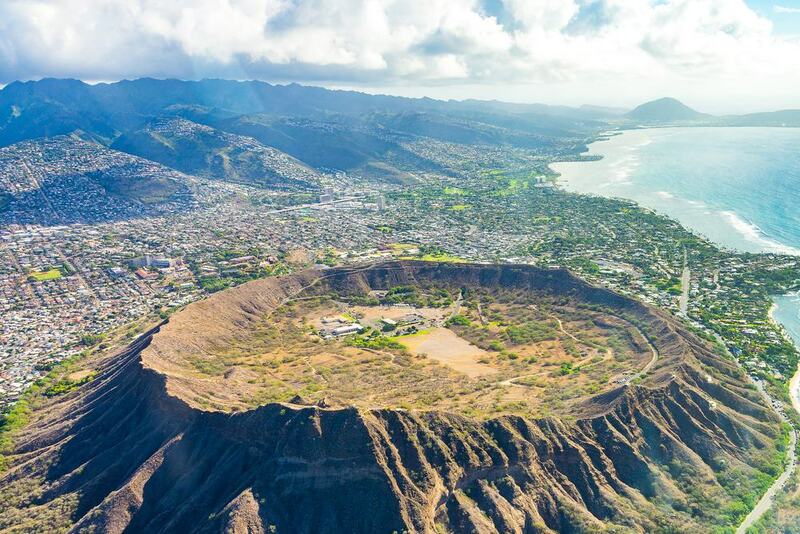 Diamond Head is a huge, prominent crater that quite literally overshadows Honolulu and Waikiki Beach. From the streets and the white sand below, you’ll see the crater staring down at you. Eventually, curiosity will prevail and you’ll want to attempt the hike to the lookout. The way up is steep, following a long trail that for much of the way is filled out with concrete steps. The crater at the summit is enormous – but better than the views looking out over this are the views over the island and of the city far below. Being so close to Honolulu, it makes for a popular trip, so leave early for the cooler temperatures and to get up there before everyone else. Found along the southern, easternmost tip of Oahu, along the coast from Honolulu, Hanauma State Park is the most accessible park and one of the best places in Hawaii to snorkel. There’s an incredibly rich and diverse array of marine life to be found in the waters of Hawaii, and the entire area is a well-protected conservation area. The plethora of fish species under the surface and amongst the coral reefs is almost unbelievable, and it’s all easily reached from the beach on the coast, in relatively shallow water. 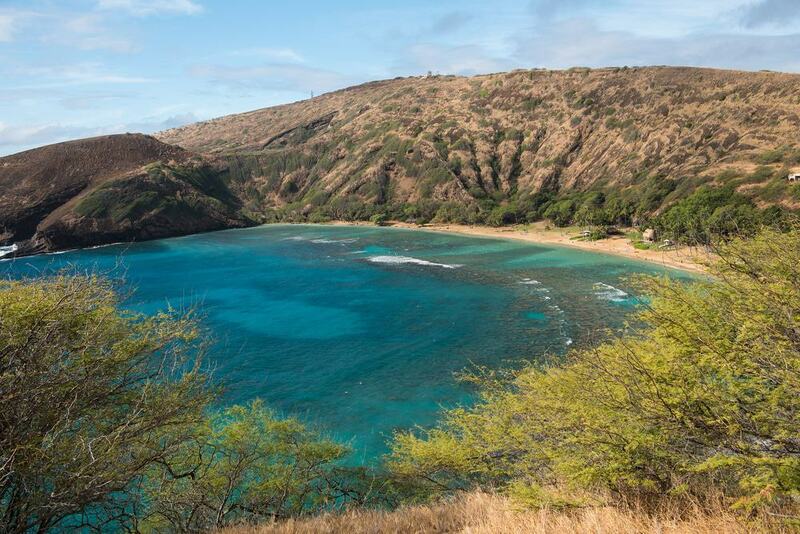 The beach and the coastline are just as spectacular, but it’s still really all about the marine life at Hanauma Bay. Hawaii is famed for its beautiful beaches, and if you are looking for a holiday full of sun and sand, then Oahu is the best choice. Waikiki might be the most visited beach, but for those looking for somewhere quieter and less developed, there are plenty of opportunities along the island’s spectacular coastline. 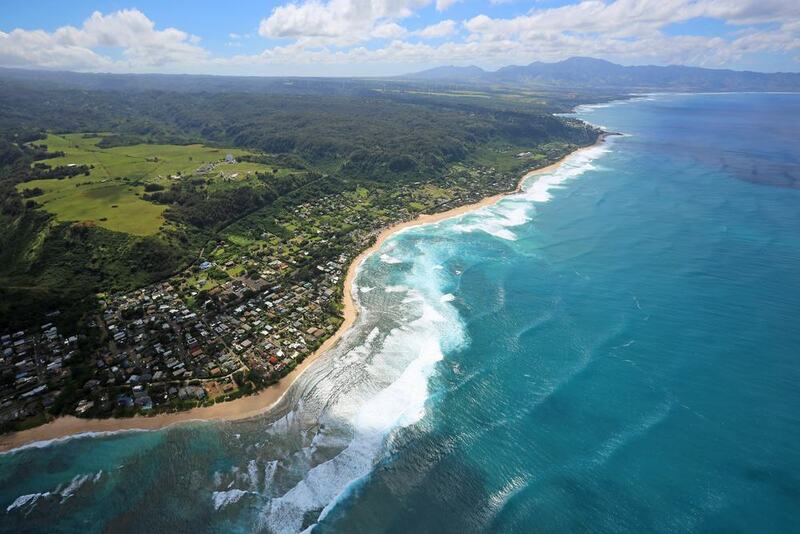 The best place to visit to experience beach life on Oahu is the North Shore. Here, there are endless stretches of sand, each unique and each different. Some are perfect for snorkeling, others for surfing and every single one is stunning. Spend the whole day on Oahu touring the different coves, bays, and inlets of the North Shore to really experience the coastal beauty of the island at its most exotic. Oahu isn’t just famous for its beaches and scenery. Oahu is also renowned for its pineapples, which are by many considered to be the most delicious, and sweetest in the world. 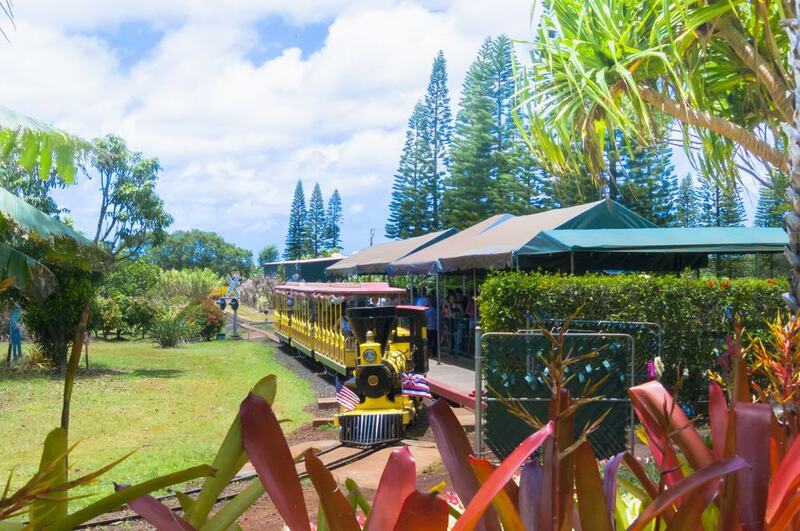 The Dole Plantation is a long-standing institution on Oahu and makes for a great day trip, especially for families and those with kids. More than just a pineapple plantation, a trip here is a journey through Hawaiian history and culture, as you learn about the culinary traditions of the locals and the importance of pineapples to the island. And of course, you get to try some of the best pineapples on the planet! Along the coastline of Oahu can be found one of Hawaii’s most spectacular hiking trails. It’s no easy feat deciding which hiking trails are the best in the state because there are far too many magnificent walking options to choose from. 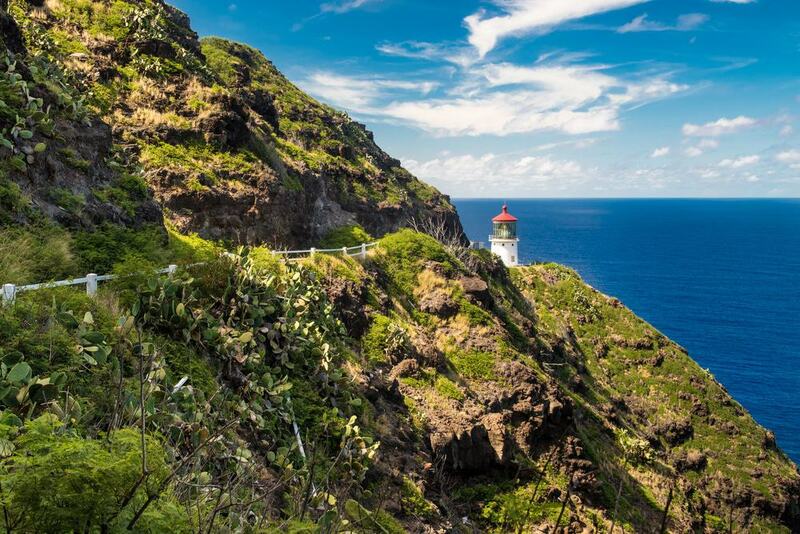 If you only have time for one hike, consider the Makapuu Lighthouse trail, because it’s a truly iconic walk. The lighthouse itself perches precariously on the edge of a cliff at the end of the trail, and it makes for one of the most photogenic scenes in Oahu. The walk takes you along untouched, wild scenery, with dramatic cliffs and expansive views along the coastline that stretches for mile after mile. The surf below is powerful, and the whole setting really gives a sense of why so many people visit Hawaii to experience the incredible natural wonders here. 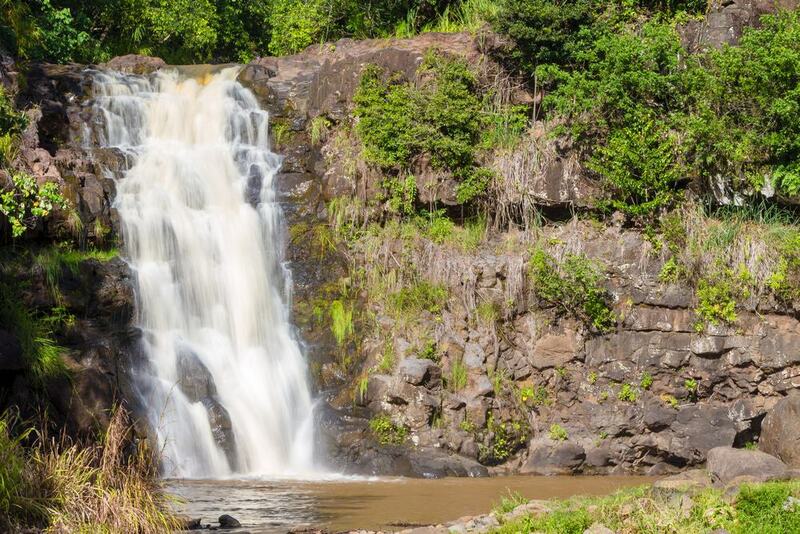 A trip to Waimea Falls is one of the best day trips to be had from Oahu. This beautiful waterfall is found hidden away amongst the forest of the island’s interior, in the Waimea Valley in the north. It’s an easy waterfall to reach, despite its seeming seclusion and isolation, and it’s the perfect place to enjoy nature and the refreshing water that pours from the rocks above. 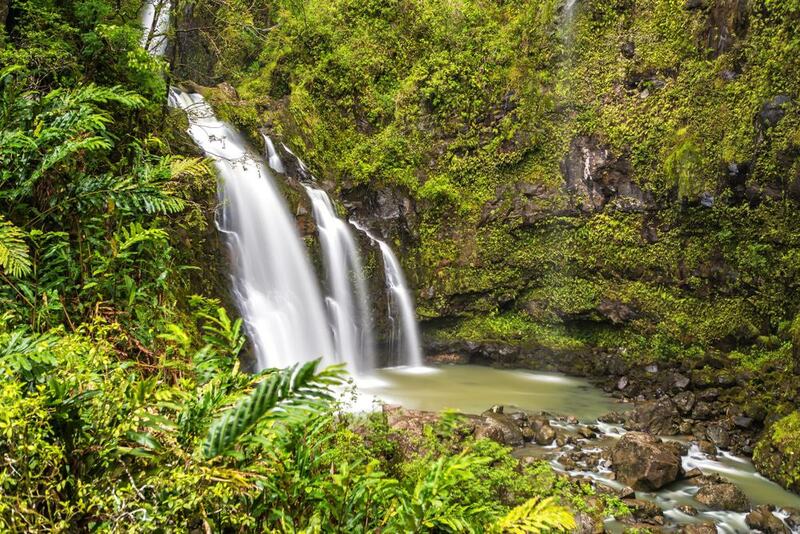 Waikani Falls is one of the best waterfalls in the entire state of Hawaii. It’s found on Maui, the neighboring island, but many companies run dedicated tours here from Oahu, making it easy to reach on a day trip. The falls comprise three separate layers, each cascading magnificently far below, to create a wonderful, tiered waterfall. 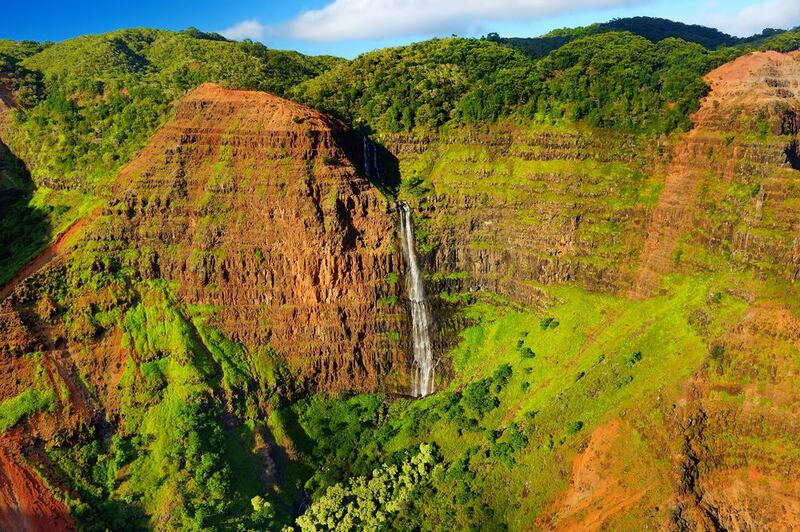 The Waimea Canyon is an outstanding area of natural beauty found on the island of Kauai. It’s a popular place to visit from Oahu and is often described as the ‘Grand Canyon of the Pacific’. It’s an epic, long ravine, with many deep and dramatic drops far into the valley below. 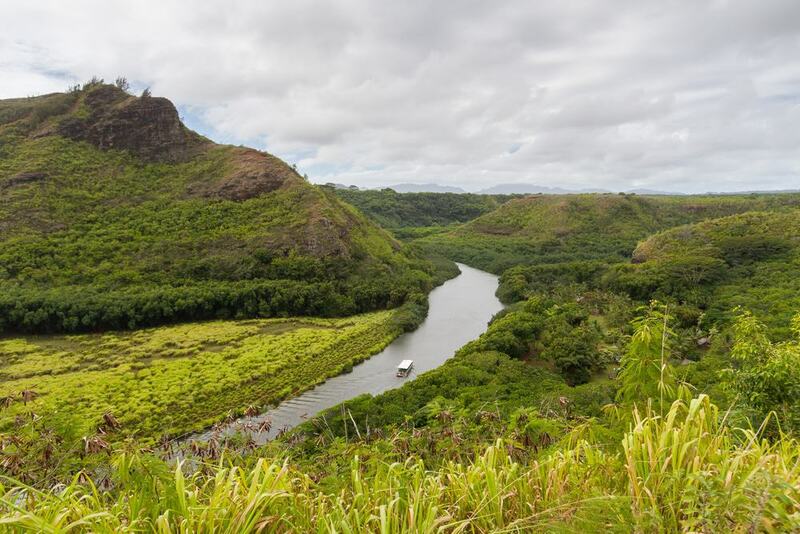 Also found on Kauai, the Wailua River is an excellent location in which to immerse yourself in the island’s natural beauty. It’s a lush, green landscape, and a cruise here will show you the best that Kauai has to offer its many visitors. 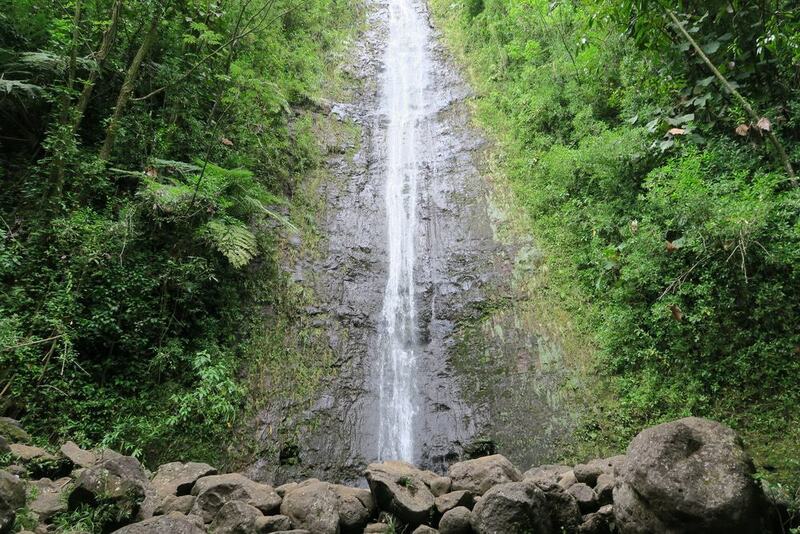 Manoa Waterfall is found in the center of Oahu island, about as far inland as you can get. It’s an epic waterfall, with a scenic hike to match. The 45-meter drop over rugged cliffs, surrounded by trees and dense vegetation, is an amazing sight to witness, and a wonderful day trip to embark on.